It took us almost a year to pay a visit to the newest addition to the anglophone bookstore scene in the capital of Slovakia. Besides the cozy second-hand bookstore/cafe Next Apache and the Eurobooks bookstore with its extensive offer of carefully selected fiction and non-fiction titles, the Oxford Bookshop rather successfully fills the existing gap on the market with its stock mostly focused on ELT materials, course books and dictionaries. The thing we liked the most about this bookstore was that it carries a considerable selection of titles in other languages such as Russian, French, Spanish, Italian or German (taking into account that books in these languages are practically impossible to find in the vast majority of the city's bookstores). 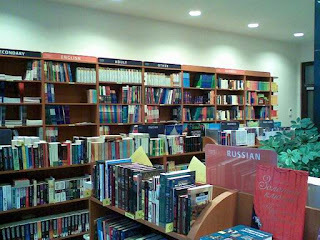 The English books represent the biggest part of the stock and, besides the mentioned ELT materials and the Oxford University Press publications including their edition of classics but also non-fiction titles from different fields (medicine, business, art, philosophy and others), there are also several shelves which hold a selection of contemporary fiction from different publishers. A small but very interesting children's section is also to be found within the bookstore. 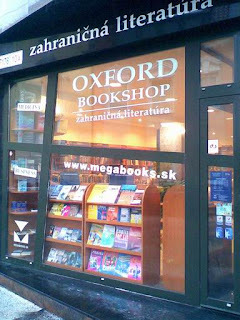 Oxford Bookshop was opened in April of 2008 and after its move from a previous location in Rajska street, it is now located in the very center of the city, near Primacial Palace. It is possible to order any books they don't have on stock. Oxford Bookshop is arguably the best place in the city if you wish to indulge yourself in learning a new language, be it English, Russian or other world tongues. The variety of language teaching materials at the Oxford Bookshop certainly makes it stand out in the city itself and even further. 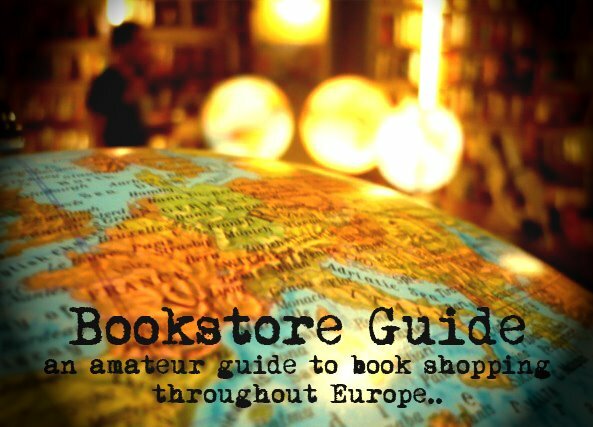 Extra Information: Oxford Bookshop gives 10% discount to ISIC, ITIC and IYTC card holders.